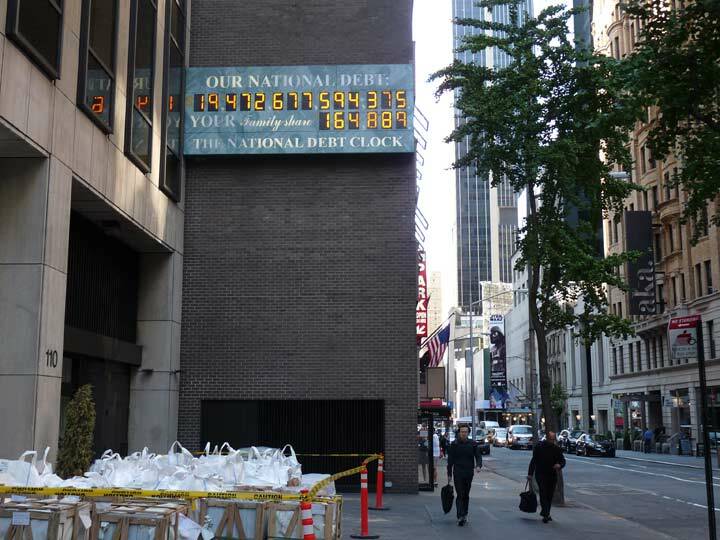 The National Debt Clock, which measures the US gross national debt and each individual family’s share in it, was installed by developer Seymour Durst in 1989 on a 6th Avenue building owned by the Durst Organization facing northbound traffic between West 42nd and 43rd Streets. When first installed, the total national debt was $2.7 trillion. Until his death in 1995, Durst himself updated the clock based on figures he received from the US Treasury. Since then, sign designer Artkraft Straus and the Durst Organization have maintained the clock and its successor model, which now continuously updates the figure. Between 2000 and 2002, the national debt was actually decreasing, so the Durst Organization initially tried running the clock backwards, which it was not programmed to do, so it was covered by a banner. When the debt started rising again in 2002, the clock was uncovered and started running forward again. When the skyscraper One Bryant Park rose at the NW corner of 6th and West 42nd in 2004, the first clock was taken down and a new model, which can run backward if the national debt ever decreases again, was installed on the side of a parking garage on West 44th off 6th avenue, across the street from the Belasco Theatre. In the fall of 2016, the debt mark was approaching $20 trillion. 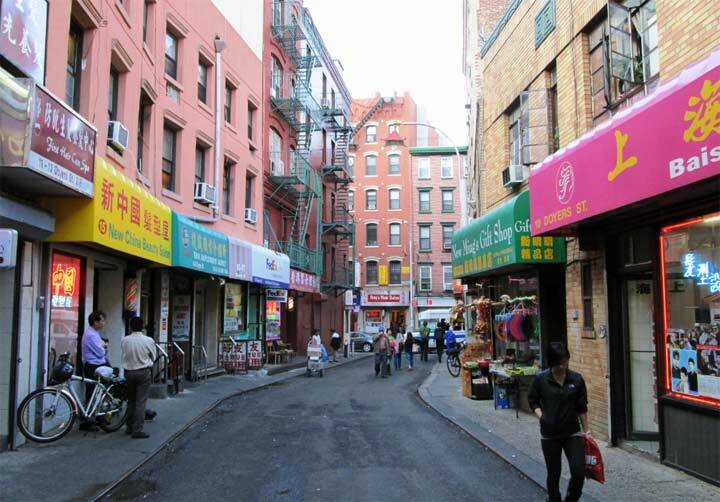 Seymour Durst also co-wrote a book that I consult often in FNY research, New York’s Architectural Holdouts.